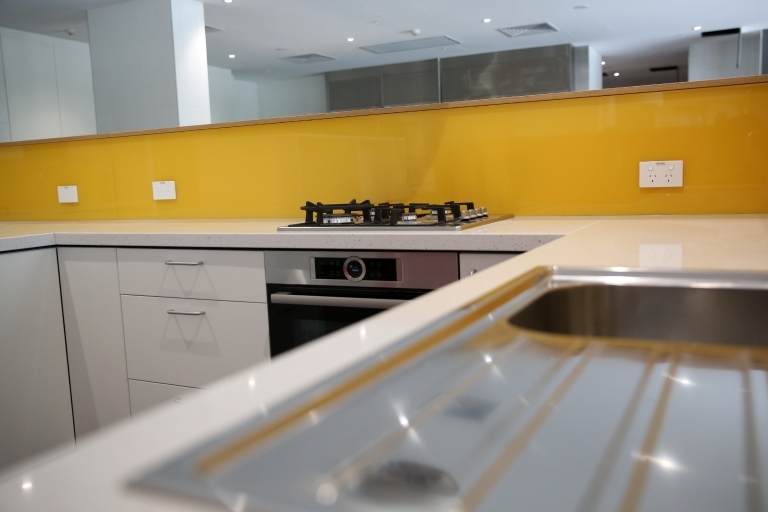 In the new, 60-room Ronald McDonald House Westmead, families are able to retain a sense of normalcy and belonging through the comforts of home, partly thanks to Bosch Australia. Prior to the House's official opening in February, 2018, the team at Bosch installed more than 110 appliances throughout the kitchens, laundries, and isolation units on site. The generous contribution means that families have access to Bosch electric wall ovens, 4-burner gas and electric stoves, dishwashers, washing machines, dryers and rangehoods in their home away from home. Each and every week families prepare dinners together in the shared kitchens, throw on a load of laundry, or gather to bake cookies to share with other families, creating a sense of warmth and stability for both parents and children. Without a place like Ronald McDonald House Westmead, seriously ill children receiving vital hospital treatments at Westmead and their families would find themselves struggling to find a place to stay, settling for sleeping in armchairs in the hospital wards, or trying to make ends meet while paying expensive hotel bills. The House offers a soft landing and a place where families can stay together under the one roof, but also offers the amenities of a home: a kitchen, laundry, and shared living areas. They can keep up a routine, eat meals together at the dining table, and retain a sense of normality during the tough times. Thanks to partners like Bosch, more than 1,360 families each and every year will be able to stay at the House. Their contribution equates to hundreds of thousands of dollars of equipment that will benefit families for years to come. Click through to see more images from inside the House that Love Built.